Stack with or without covers. Nest at alternating 180° positions. Provides maximum space utilization. Ideal in general manufacturing, food processing and distribution uses. Temperature resistant 0°F to 120°F. 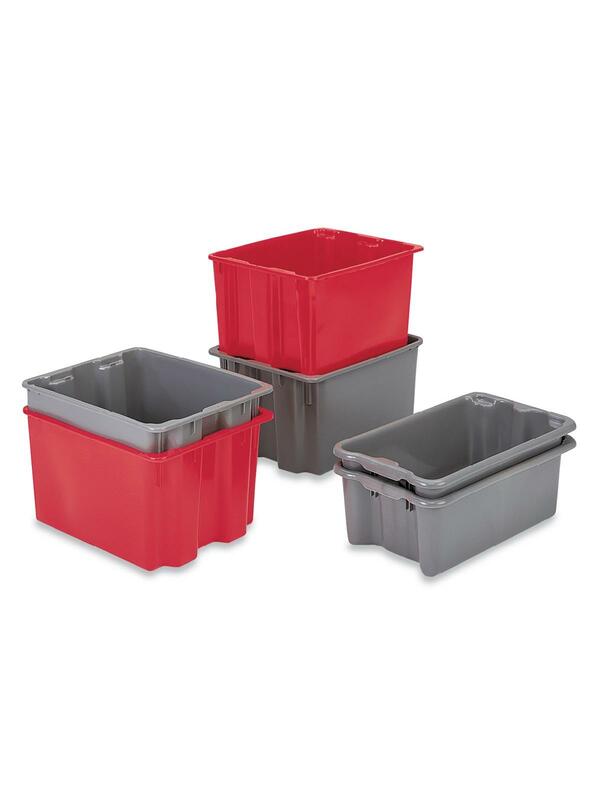 Easily cleanable and ideal for handling unpackaged goods. Containers won’t rust, rot or corrode. Resistant to the damaging effects of oil, most chemical solvents, water and steam. Uniform container weight. Safe to handle – no sharp edges, burrs or splinters. Maximum 70 lbs. load capacity per container – 300 lbs. stacked. Available in Gray, Red and Blue. 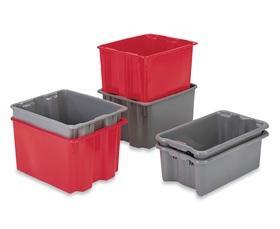 Metal dollies are available for Polylewton® containers. Please call for price and availability. FOB Shipping Point. See Related Items tab for Polylewton® Stack-N-Nest Container Covers.